Brooding Hero, Contemporary, Emotions Wrencher, Endearing Hero, Endearing Heroine, Favorites, Harlequin, Outstanding Read, Re-reads!, Red Hot Reads, Review, Toe Curler!! 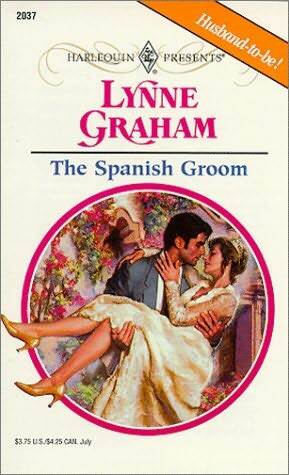 This book is a testament to why Lynne Graham remains a favorite Harlequin romance author of mine though her recent works leave me with a bad taste in my mouth. After starting off with the book I realized that I had actually read this book sometime back and reading it the second time round didn’t diminish the effects of the roller coaster ride this book seemed to take me on. My interest was piqued enough to read this book while I was browsing through a discussion thread on Amazon about Harlequin romances that readers actually liked. One reader had pretty much summed up the story which portrays Cesar, a man who keeps a tight rein on his emotions, but who dotes on his god father Jasper, the only person in his life who had ever shown him unconditional love. Dixie is the total opposite of Cesar in every way. Emotional where he is not, talkative and friendly to a fault, Dixie doesn’t know why the Jasper’s godson had taken such an intense dislike to her and seemed to be finding fault in everything she did around the office. It certainly doesn’t help matters when the routine financial checks done on employees turn up the information that Dixie is knee deep in debt, a condition her step sister Petra has left her in and run off to New York to find work as an actress. Cesar doesn’t want to believe a word that comes out of Dixie’s mouth. Forever suspicious of people and their intentions, Cesar can’t fathom why Jasper seemed to like Dixie so intensely. The financial check that reveals Dixie’s spending habits give Cesar the chance he has been waiting for. But because of the news that his godfather has not been feeling well because of problems with his heart, Cesar decides that the one thing he could do for the single ray of sunshine in his life was to make his last days on Earth happy ones and decides to do that by entering into a charade where he would present Dixie as his fiance’ to Jasper. It is Cesar’s intention to transform Dixie into a woman of polished veneer. It was quite amusing to see Dixie forced into a diet and rigorous workout sessions because Cesar thinks Dixie is overweight from over indulgence in food. It was riveting to read how Cesar realizes that beneath all the frumpy layer of clothes Dixie hides a body to die for, and unwillingly Cesar becomes slave to the undeniable fizz between the two. Before long, Cesar and Dixie are on their way to Spain, and Jasper walks in on them in moments of heated passion which turns the tables around so fast that it leaves Dixie’s head whirling. Dixie finds herself married to Cesar in just a week’s time and finally admits to herself that she has fallen in love with the cold and aloof man that her husband portrays himself to be. It was heartwarming, endearing and at moments heart thumping when Cesar and Dixie try to make a relationship out of their circumstances and in the end find true love with one another. I loved every bit of this novel and would highly recommend this to lovers of Harlequin romances and fans of Lynne Graham. loved everthing about this book, made me laugh, fhe fish the dog the diet, the oh my god you’ve got a waist moment, its my favorite book of all time. Haha! One of my favorite re-reads too! !